The Internet has been spotty here so far, but the quality of life has been anything but. From the most basic neighborhood cafes to top-notch restaurants, the food and the wine have been...well, pretty much what you'd expect in Bordeaux: Amazing. I've been filming videos of all the tours and tastings for Uncork Life! by WineChateau.com, and, as I finish editing them, will be posting them right here. Check back regularly for the latest updates. Since everyone I'm traveling with from The Wine School arrived in France at different times (and in different cities), we decided to meet up the first day for a celebratory lunch at La Tupina, a fantastic restaurant in Bordeaux. 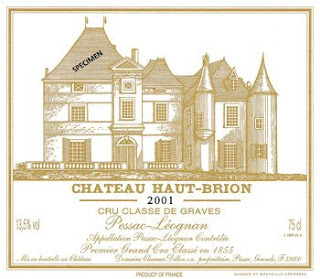 Check out the video below for a look at what it was like...and the wine that started off the week's adventures: Chateau Haut-Brion 2001.